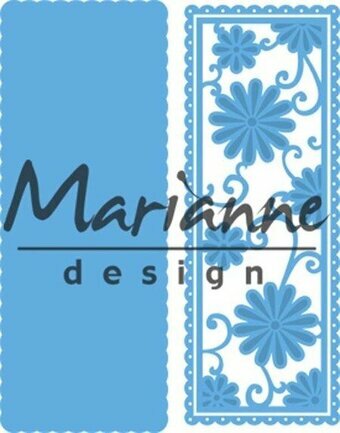 Marianne Design Craftable - Ribbon & Threading Wave. 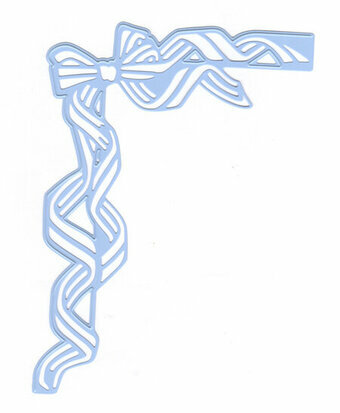 1 wave border die that you can thread ribbon through. Size: 0.60" x 5.95". 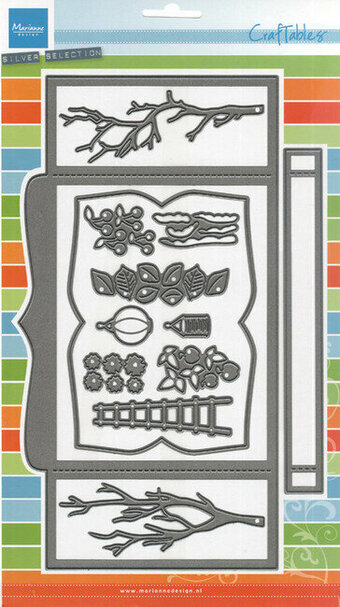 This frame die cuts a frilly edge with slits for weaving ribbon or paper. Fits perfectly A6 standard card. Includes 6 pcs; 3.35 x 4.6 inches. 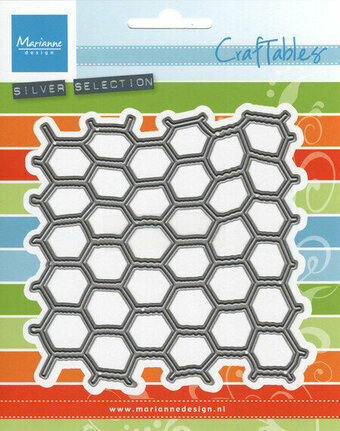 Create a card using this as a base for your card or use it as a decorative element on a larger card or scrapbook page. Emboss with embossing mat to add extra texture and details. 1 die. 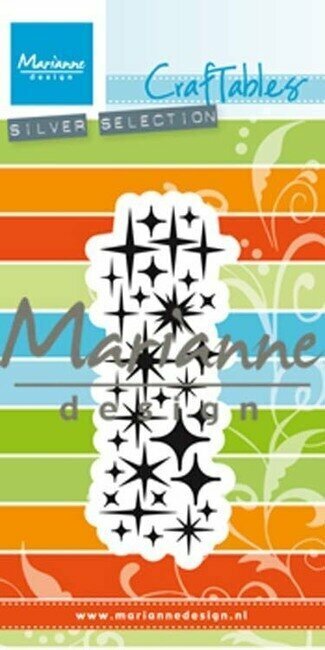 Size: 4.92" x 4.76"
Craft die from Marianne Design featuring a collection of stars. 1.2 x 3.4 in. 1 die with swirls and leaves. Size: 1.75" x 3.50". This is an adorable Life-like natural design by Tiny. Includes 1 die. Size: 2.28 x 1.89 inches. 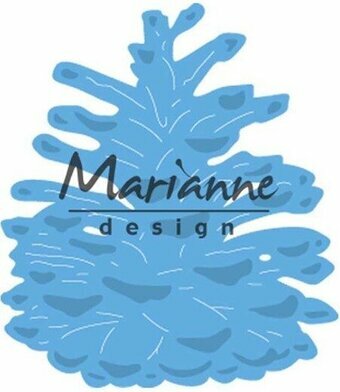 Marianne Design Creatable - Tiny's Beach Hut. 1 beach house-shaped die. Size: 1.90" x 2.10". 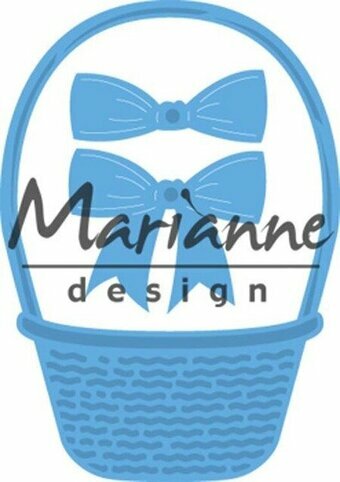 Marianne Design: Creatables - Tiny's Bow. Use this die to quickly create a beautiful bow along the edge of your card or layout to add an elegant look! Emboss with your embossing mat after to create some texture and dimension. 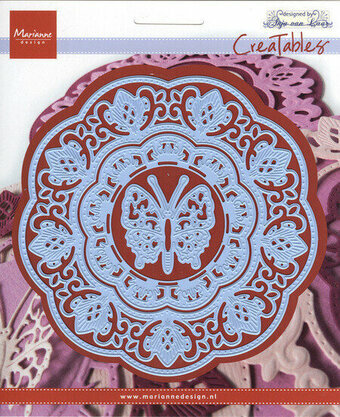 Creatables are handy stencils that cut and/or emboss. 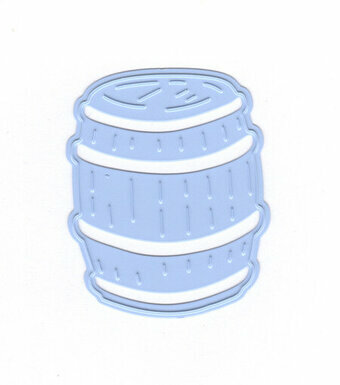 They can be used in many machines, with all kinds of paper. 1 die. Size: 3.75" x 5.0". A nice detail for winter cards. 2 pcs; 1.7 x 2.5in. This large pine cone die is an excellent addition to your Autumn and Winter projects. Includes 1 die. Size: 1.75x2.25 inches. Santa would be lost without these guys! Add a red nose and you'll have Rudolph! Perfect for Christmas and winter cards and layouts! 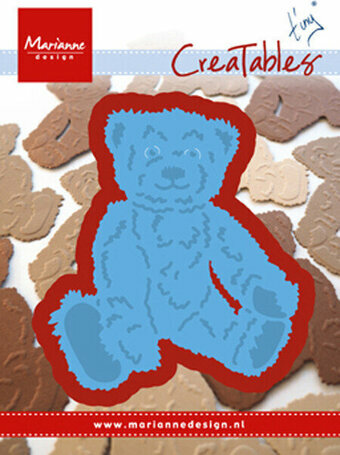 Marianne Design: Creatables Tiny's Teddy Bear Die. How sweet is this teddy bear? A great addition to your cards and layouts for children, babies and anyone who loves teddies! 1 piece. Size: 2.76" x 3.11". Marianne Design Tiny's vines. This vine die is highly versatile. 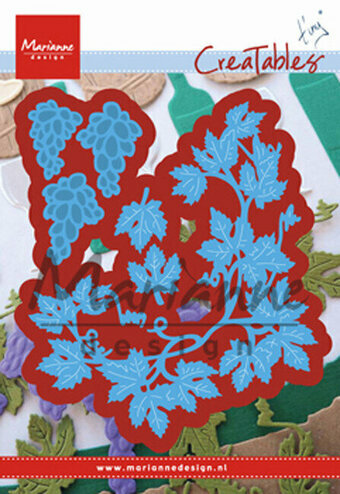 Use it with or without grapes to add a floral touch to your projects. 3 pcs; Size: Smallest 0.75" x 1" Largest 3.7" x 4.3". Customizable by threading twine through small holes. 3 pcs; 4.4 x 5.2in, 4 x 4.9in and 2.2 x 3.1in. 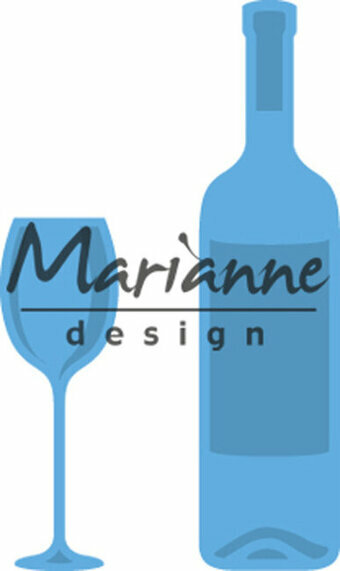 Marianne Design Wine bottle & Glass. 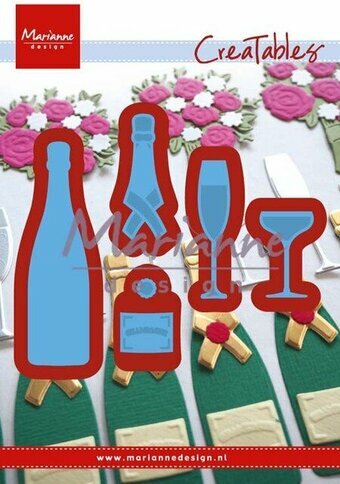 This wine bottle and glass die set is simple and elegant for all occasions. 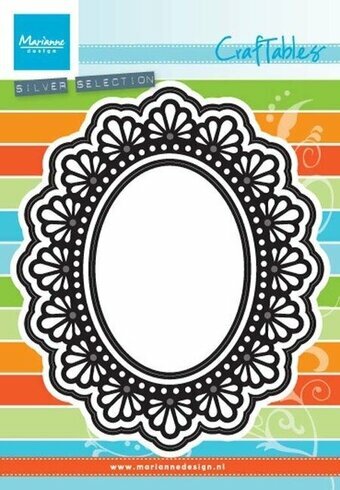 Works well with a Tuscan theme, but can be used for celebration cards as well, such as anniversaries and birthdays. 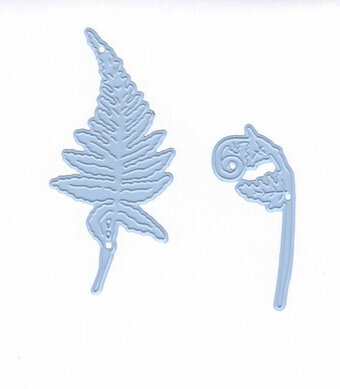 2 pcs; Size: Smallest 0.5" x 1.5" Largest 0.5" x 3". Use these wooden signs for your beach themed projects, or mix it up with different sentiments to use all year long. Includes 1 pcs: 1.9 x 3.2 in. Marianne Design Punch die: ABC. Say anything you'd like to say with this useful die set. This alphabet has the appearance of letters created by a typewriter. 1 pcs: Size 1" x 2.25". 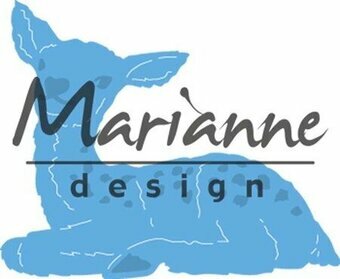 Marianne Design Anja Marquee. This lovely marquee die makes a very original and beautiful design. 4 pcs; Size: 5" x 5". Classic elegant border die designed by Anja. Includes 3 pcs: 0.7 x 1.5in, 0.1 x 1.5in and 2 x 1.5in. 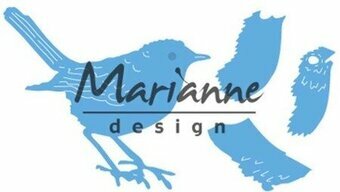 Creatables die from Marianne Design. This die is great for cutting and embossing using your regular die cutting machine. This classic foral design is highly versatile and can be used to add a lovely touch to almost any type of project. Includes 2 dies. Size: 2.68 x 5.31, 2.60 x 5.16 inches. 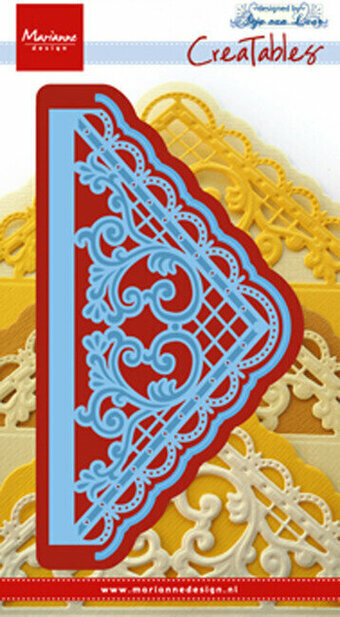 Create a filigree design in your card. Includes 3 dies. Size: 1.57 x 4.92, 1.97 x 5.14, 2.13 x 5.48 inches. Extra long border of 7 inches. Choose between a floral border, or a lattice style border. Perfect for any kind of project. 2 pcs; 0.7 x 7 inches and 0.4 x 7 inches. Marianne Design: Creatables Anja's Triangle Die Set. 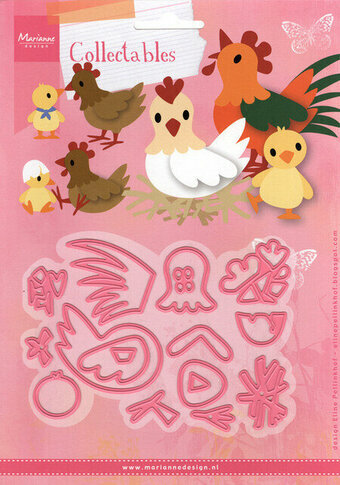 A beautiful Anja style die - decorate your envelope or card or layout. 2 pcs. Size: 5.31" x 2.56" and 5.59" x 2.83". Craft dies featuring arrows with the sentiments "Wish", "Dream", "Love", and "Believe". Contemporary sentiments all your projects. 4 pcs; 3.7x0.8in, 3.4 x 0.9in, 3.7 x 0.7in and 3.9 x 0.7in. 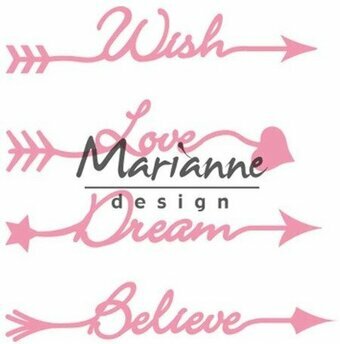 Marianne Design: Creatables Ballet Dress Die Set. Create a cute dress with this set. 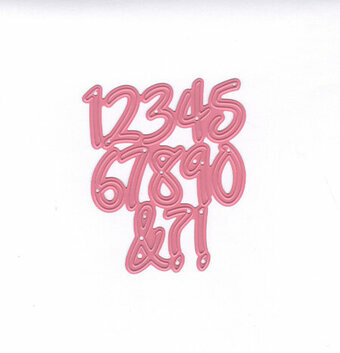 Coordinates with LR0466 (ballet shoes) to create cards and layouts for that special dancer! 4 pcs. Size: Largest: 2.75" x 1", Smallest: 0.25" x 0.25". For in the garden or on a wine label. 1 pcs; 37 x 47 mm (1 7/16" x 1 7/8"). Carry your Easter eggs or flowers in this cute design. Includes 3 dies. Size: 2.28 x 3.27, 1.38 x 0.51, 1.38 x 1.14 inches. 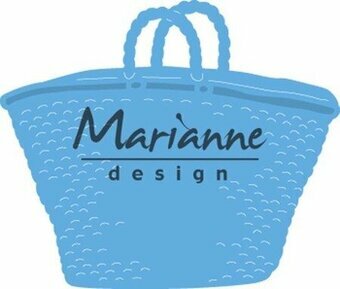 Craft die from Marianne Design featuring a beach bag. 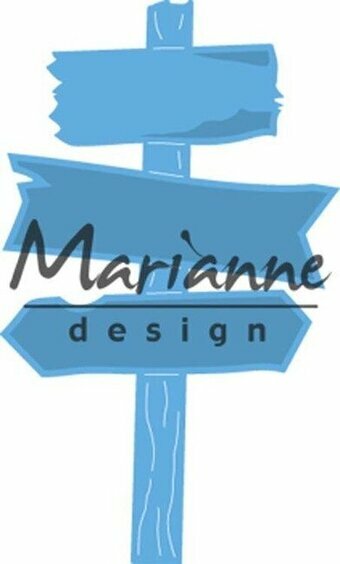 Marianne Design Village Decoration set 4 (bicycle). Bike, motorcycle and moped. Create beautiful travel themes with this die set. 4 pcs; Smallest: 1" x 0.75" Largest: 1.25" x 0.75". This border die cuts a row of spooky pumpkin jack o lanterns, perfect for designing Halloween projects. Layer these dies to make a realistic 3D bouquet, or use them individually to add some floral accents to your projects. Includes 3 pcs; 2 x 2.1 in, 0.6 x 0.9 in and 1.3 x 1.5 in. 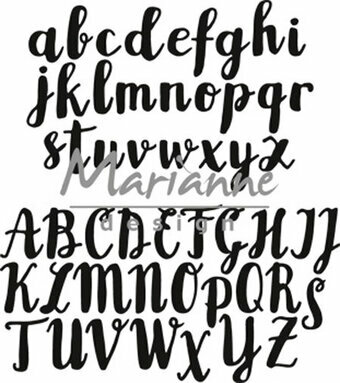 Marianne Design Brush alphabet. Say anything you'd like to say with this useful die set. This hand lettered alphabet is attractive and versatile. 2 pcs; Size: 4.5" x 3" and 5" x 2.75". This set of candles is a great accent piece for scene cards. This set includes 2 dies, and will cut individual candles which can be used with the stand or alone to add a festive touch to your projects. Size: 2.95in x 2.32in. 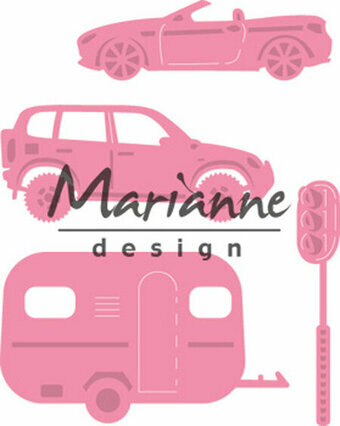 Marianne Design Village Decoration set 3 (Cars). Add to your village collection with this set of cars. Perfect for decorating travel or Summer themed projects. 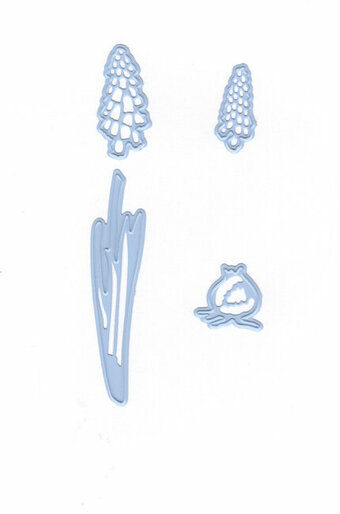 4 pcs; Smallest: 0.35" x 2", Largest: 2.35" x 1.4". Celebrate any special occasion, such as weddings or even birthdays with this bottle die with detailed accessories and 2 different glasses. Includes 6 pcs; bottle size: 0.8 x 2.9 in. 1 Die with 10 numbers and 3 punctuation symbols. Each letter is approximately 0.70" high.